Shae's Green Tea Facial Mask helps minimize pores and tighten skin. 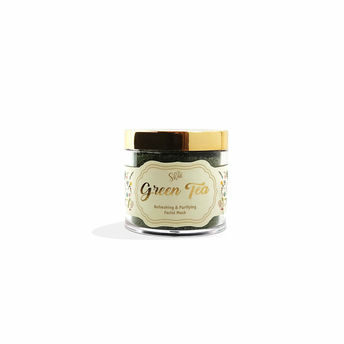 Green tea, honey and green French clay come together to form this nourishing and detoxifying face mask. An intense vitamin and mineral honey treatment nurtures your skin while green tea along with French clay absorb impure oils from the pores, tightening the face.